John came home the other day and told me about a conversation he had with a friend of ours. This friend of ours lost his wife not long ago. She was a great person and took care of a lot of the cooking. Our friend told John that he had tried making a meatloaf, and it wasn’t any good. I decided it was time to make my Easy Meatloaf recipe. I grew up eating meatloaf. It is one of those dishes that every family had on their table. Another thing that I remember is that most of the time it was swimming in grease, and drowned in gravy, ketchup or both. Yuck! I’m feeling a little sick just thinking about it. 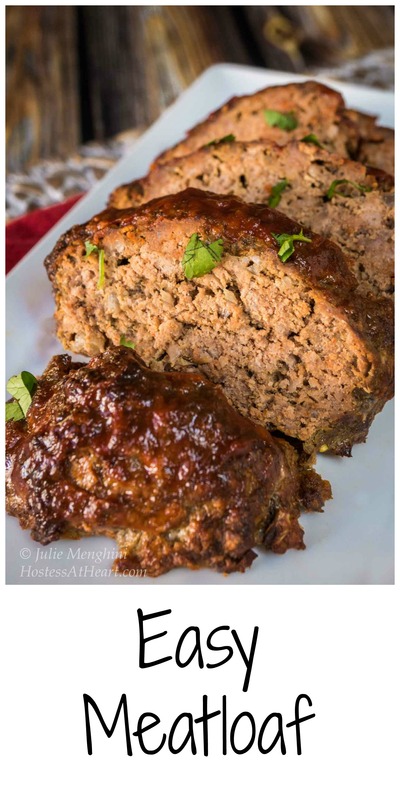 We love meatloaf and I’ve made many meatloaves over the years, some better than others. This recipe is the one I make most of the time now. I use Italian bread crumbs which add flavor but don’t draw all of the moisture from the meat and bake them on a broiler pan so the grease will drain, and the whole loaf gets a beautiful crust. 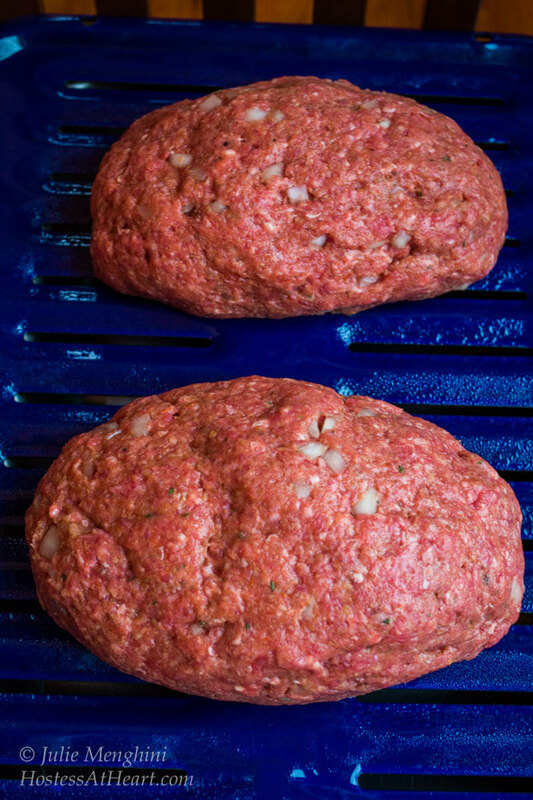 An easy Meatloaf recipe that makes two loaves. Eat one and put the other one in the freezer for a busy day. Preheat oven to 350 degrees F. Spray the surface of a broiling pan with nonstick cooking spray. In a large bowl, combine all of the ingredients. Divide in half and form two loaves. Brush the top of the loaves with glaze. Bake for an additional 15 minutes. 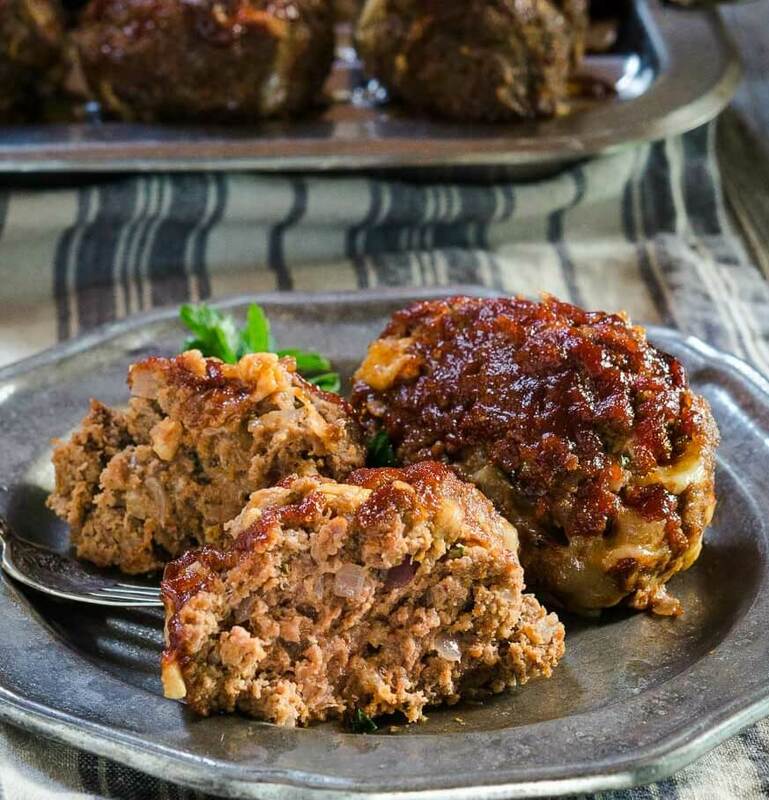 This meatloaf is easy and delicious. Making two loaves, you can serve a large group or put one in the freezer for another day. 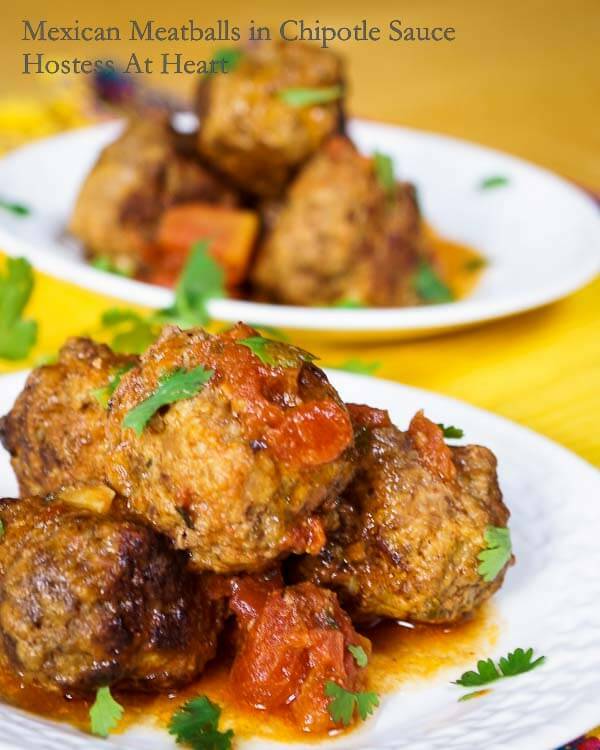 This recipe also makes delicious meatballs! I get 14 good sized meatballs per loaf. This meatloaf makes great leftovers. Do you eat leftovers? My weekly meal plans count on leftovers! 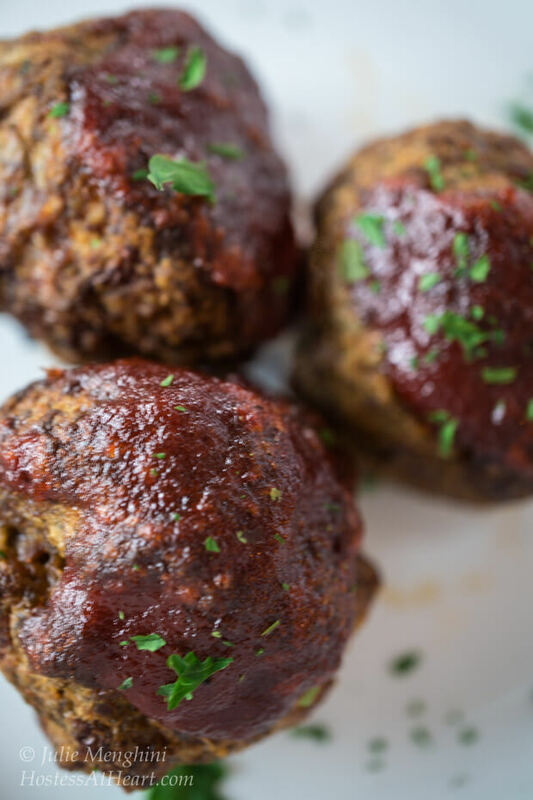 There are so many great ways to make meatloaf. 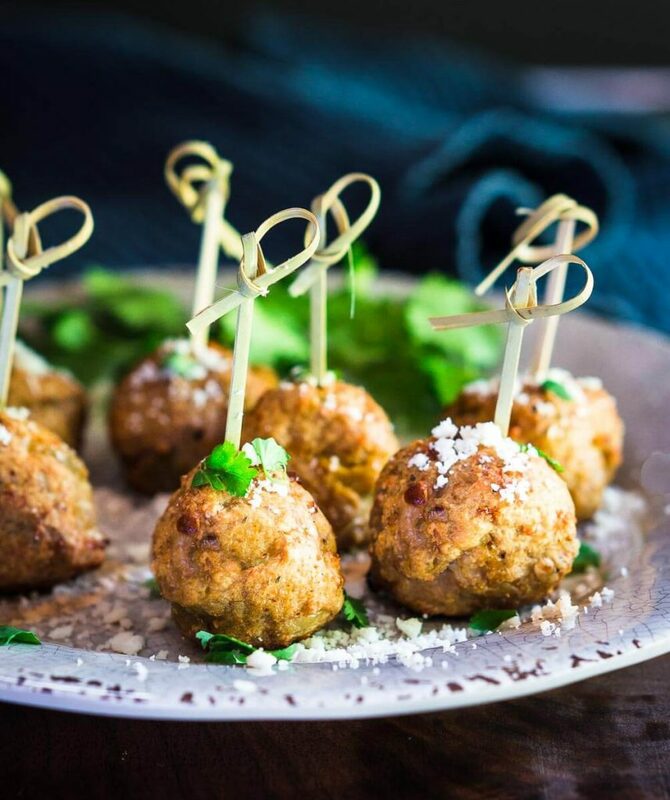 Here are a couple more recipes we love! Meatloaf is always a favourite around our house. And you can’t beat a good ketchup topping 😉 This looks delicious, Julie! Love meatloaf Julie I know where I will be hanging out, thank you for bringing this. Thank you Suzanne! With the new gravatar I had to read the blog title to make sure it was you! Thank you Petra! I really appreciate you stopping by! Thank you Jhuls! Italian bread crumbs are pretty fine and are seasoned with Italian seasonings. I use them a lot because they are flavorful. Enjoy your weekend and thank you for stopping by! Thank you Ana! I have one blogging buddy that tried it and loved it last night. I hope you do as well. Thank you so much for letting me know Anna! I am so glad that you enjoyed it. I will actually whip up extra glaze when heating it up for leftovers. That sounds wonderful Judi! I like trying different versions too. Have a wonderful weekend! Wow, Julie! If I lived a little closer (I’m talking any of Nebraska’s neighboring states), I’d be inviting myself over for dinner. This looks fantastic! Thank you James! You don’t have to invite yourself, you’re on my guest list! Thank you Anna! Easy and yummy! Have a wonderful evening and thank you so much for stopping by! Meatloaf has such a bad reputation, like fruit cakes. 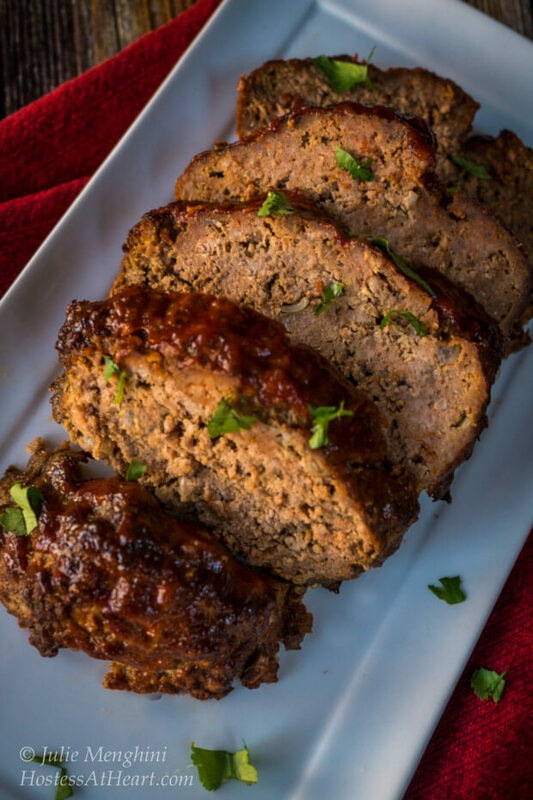 But meatloaf can be such a wonderful and comforting explosion of flavor. 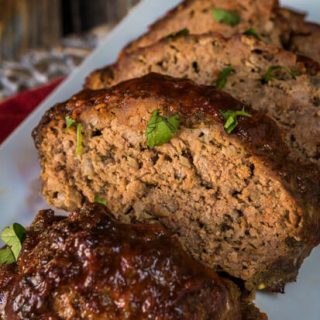 I love a good meatloaf recipe and yours looks great! Thank you Mary! I totally agree with meatloaf having a bad wrap. I’ve eaten some that I thought tasted like dog food…yuck! I really appreciate you stopping over and leaving such a kind comment! Nothing like a good meatloaf! This recipe sounds so good! David has put it on our menu. Think I will be making one on Sunday! Perfect timing! Thank you Debbie and David!!! I hope you will stop back and let me know what you think? Enjoy your day Debbie on that beautiful mountain. Looks yummy–but then, everything that comes out of your kitchen does. I’m sure your friend appreciated it. Awe thank you so much Patti. I am so humbled that you think so. What are you up to today? Anything fun? This looks really good, Julie! I love meatloaf, but don’t have a basic meatloaf recipe. The glaze on top of yours sounds wonderful. Pinning this to try! Thank you Shari! It’s a great simple go to. Enjoy your evening! Thank you Loretta. 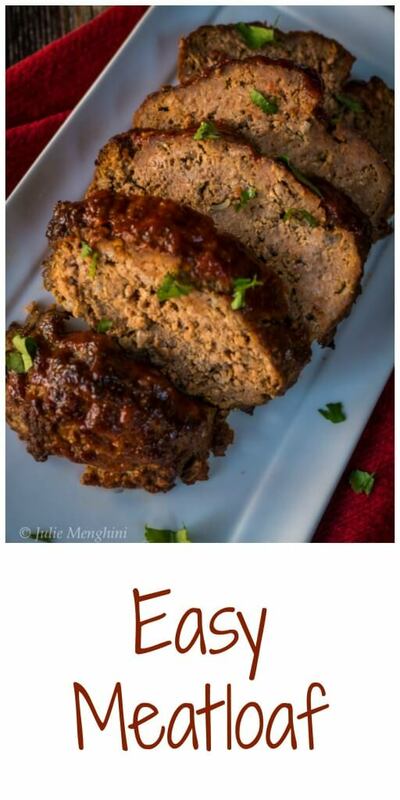 I don’t make meatloaf all that often, but this is an easy flavorful go to. The glaze is really good on this. Have a wonderful evening and thank you for stopping by. Unlike you I didn’t grow up eating meatloaf and my kids never think mine is as good as their American grandmother, now departed. I will have to try this on the fans of your other meatball recipe and see if Hostess at Heart saves the day for our family once again. Awe thank you so much Johanne! I hope you will let me know the census if you try it. I haven’t tried shredded carrots but do have one with diced cheddar that is really good. Thanks for stopping! 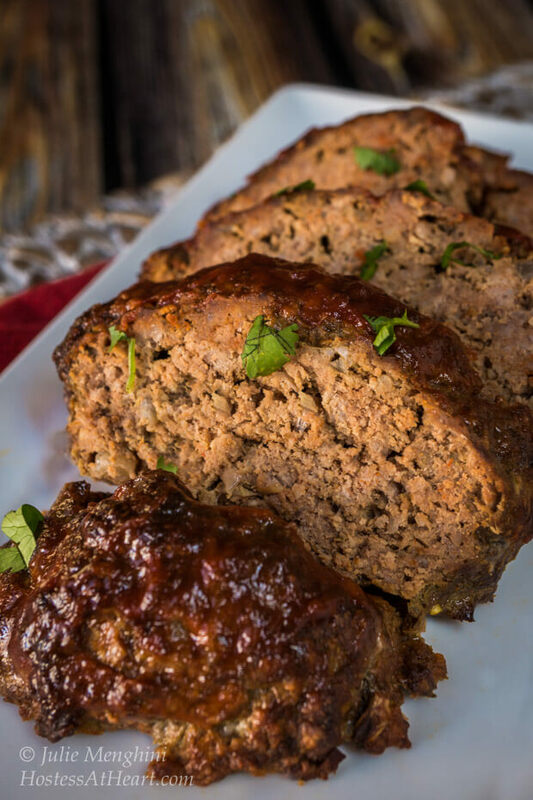 It may be “easy” meatloaf, but it sure looks satisfying and delicious…the glaze looks pretty too! Thank you Nancy! I used to give or take meatloaf, but I really like this one. Thank you for stopping by and enjoy your day!